Bajaj V15 sells 1 lakh units since launch | IAMABIKER - Everything Motorcycle! Most recently, Bajaj launched their V platform which was their premium 150cc commuter which was styled well and packed a lot of stand-out features. The most unique feature was that scrap metal from the Indian aircraft carrier INS Vikrant had been used in the construction of the bike. The patriotism angle seems to have paid off for Bajaj as they have announced that one lakh Bajaj V15 bikes have been sold within just 4 months since the bike was launched. The Bajaj V15 has emerged as one of the most wanted 150cc commuter bikes in the country owing to it’s unique construction and patriotic ties. More than one lakh Indians commute on a piece of the Indian Navy’s pride in the form of the Bajaj V which carries forward the spirit of the once mighty aircraft carrier. 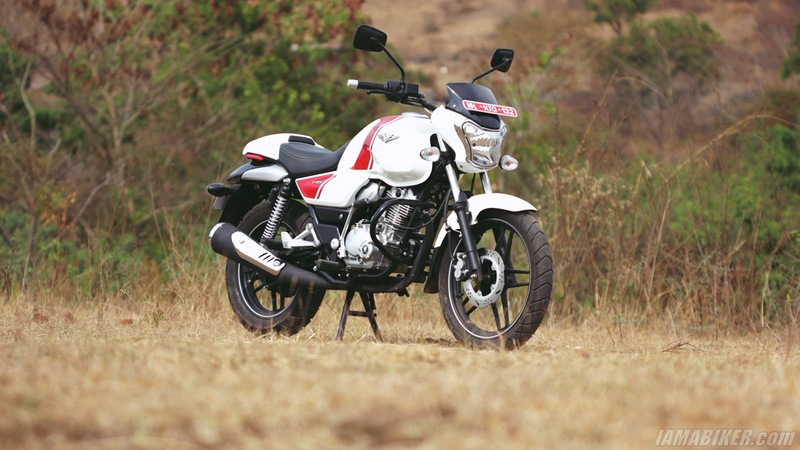 In the aftermath of its launch, the Bajaj V15 received 20,000 bookings in the country. In the month of April, it was one of the top 10 selling motorcycles in India. It now averages sales of 25,000 bikes per month and has helped Bajaj Auto increase its overall market share in the premium commuter 125cc+ segment by 10%. The launch of Bajaj V was announced in February. Deliveries of the bike started on 23rd March with 10,000 customers taking delivery on the first day the bikes were available. Even Amir Khan has purchased Bajaj V in April 2016 and is a proud owner of the bike. The Invincible Bajaj V15 is available in 3 striking colours and comes with a price tag of INR 62,002/- (Ex Showroom – Delhi).